Life is likened unto two roads: one of fire and one of ice. If you walk in the one, you will be burned, and if in the other, you will be frozen. What shall one do? Walk in the middle. 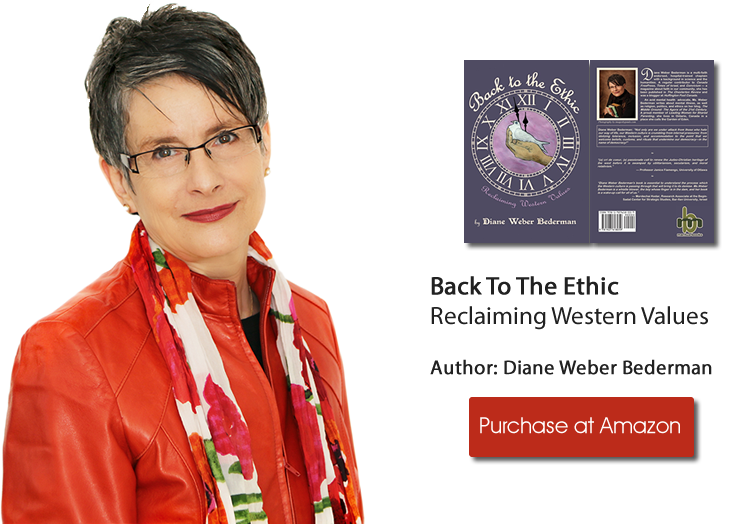 Diane Weber Bederman is a spokesperson for current events & writer on topics such as; Ethics, Politics, Religion and Mental Health. She is a book author and highly published columnist. Diane feels, “There is a shortage of respectful dialogue, today. And too much opinion expressed that is fact free.” Welcome to ”The Bederman Blog- Your Passionate Voice of Reason”, Diane’s collection of articles where the opinions you read may not be yours, but they will always be based on fact. Listen to Justin Trudeau as he shares his views on Islam and then listen to the views of leading Imams In Canada. Not only are we under attack from those who hate our way of life, but our Western culture is crumbling from the internal pressures of worshiping the false gods of absolute tolerance, inclusion, and accommodation to the point that we welcome beliefs, customs, and rituals that undermine our democracy—in the name of democracy!